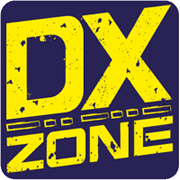 Xped Contest trainer - Xped is a free CW/SSB contest trainer written by JE3MAS for all the dedicated contesters. With Xped, you can enjoy virtual contests with a lot of participants. CQWW 1998 from PA3HBB - Reportage of the CQWW CW contest in 1998, with full history of the event and photos of equipment used.